Most people aren't meant to be together for forever. Within a breakup, you may find life lessons that prepare you for the love your soul truly desires. While challenging, breakups can also be cathartic, liberating and transformative if you're willing to make a conscious decision to move through the pain and heal. 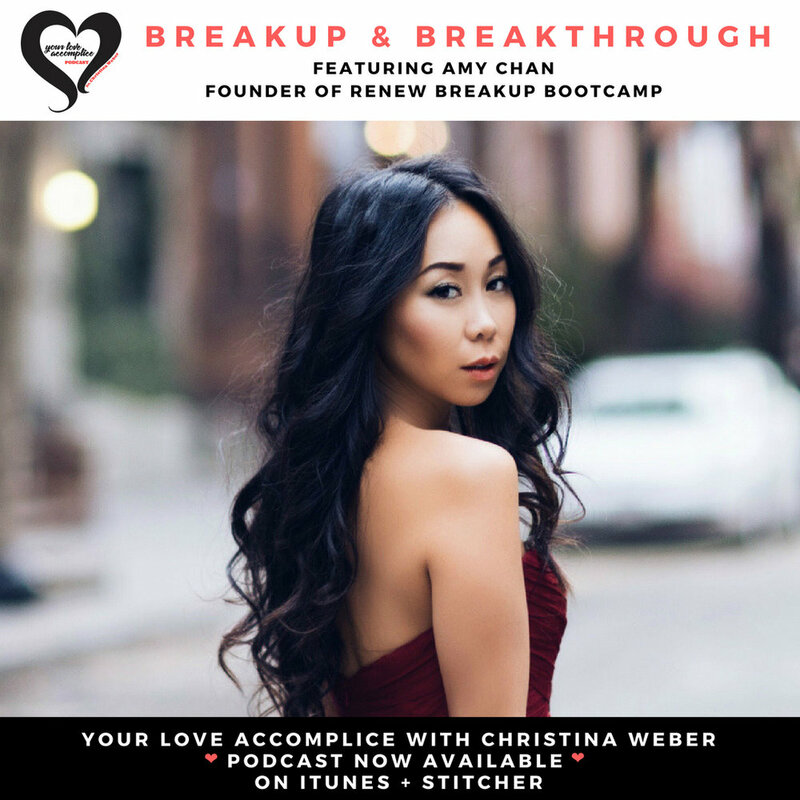 Amy Chan, known as the scientific Carrie Bradshaw, is the founder of Renew Breakup Bootcamp. Finally, a destination that accelerates recovery! Amy and I chat about how we've personally overcome heartache and the knowledge she's accrued from years of studying breakups. Our conversation flows in and out of dating and relationships, emphasizing how important it is to heal and stay in your center. Because when in alignment with your soul, connection to another who's in alignment as well comes with greater ease.